Uh. Whoops. 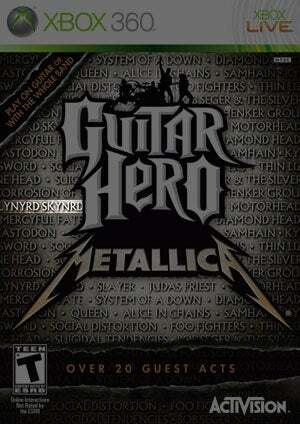 Somebody at Activision thought it would be a good idea to put all the game's featured band names on the cover of Guitar Hero: Metallica. Nobody at Activision edited said list. So we're left with a cover that features band names like, well, Metallica. Queen. Alice in Chains. Slayer. And Lynyrd Skynrd. Where's the problem? That's not how you spell Lynyrd Skynrd. It's Lynyrd Skynyrd. Small mistake to make, and an easy one at that, but that won't make the laughter (or facepalming for Skynyrd fans) go away.